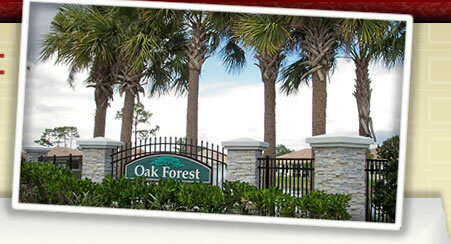 Welcome to the Oak Forest Community at Englewood. We hope you will find this site to be an enjoyable and informative source for all that is happening at Oak Forest. Natalie Farrish, CAM, is at the clubhouse on Monday at 2:30pm. Social Committee Meeting, Thursday April 4th at 3 P.M.
Planning for 2019-2020. This is our last meeting of this season. If you have an event that you would like to see for next year, please plan to attend. Talk with one of the committee members or call Agnes Hiener at (401) 808-8079. April 10, 2019 10:00 A.M.
Brenda Radford, Xfinity Community Representative for Oak Forest, will be hosting a meeting in the clubhouse on Wednesday April 10th from 10 to 11:30 AM. Brenda will explain what type of support you can expect as the Xfinity account representative for the Oak Forest Community. Coffee Hour in clubhouse Saturday April 6th at 9:00 A.M.
We will have a speaker to talk about Crime Prevention. Please sign up at the clubhouse. Manasota Beach Pavilion - 8570 Manasota Key Road. Bring a beach chair to watch the sunset. Please bring sandwiches, or something to grill, a dish to share, place settings and your choice of beverage. This will be the last Social Committee’s sponsored event for the season. As many of us are getting ready to return to our Northern homes, please consider donating your nonperishable foods to Jubilee Center. They do wonderful work for the needy and homeless here in Englewood. We will have a collection container in the Club House from March 20th to May 1st. Last spring, we collected 53 bags of food for the center. Any questions please contact any member of the Food Drive Committee.